Well maintained brick 2 flat on quiet street. Each unit has 2 good sized bedrooms, 1 full bathroom, kitchen with table space and living room/dining room combo. Hardwood floors on each level. Enclosed porch can be used as extra storage. Laundry in basement. Lovely yard with patio and 2 car garage. 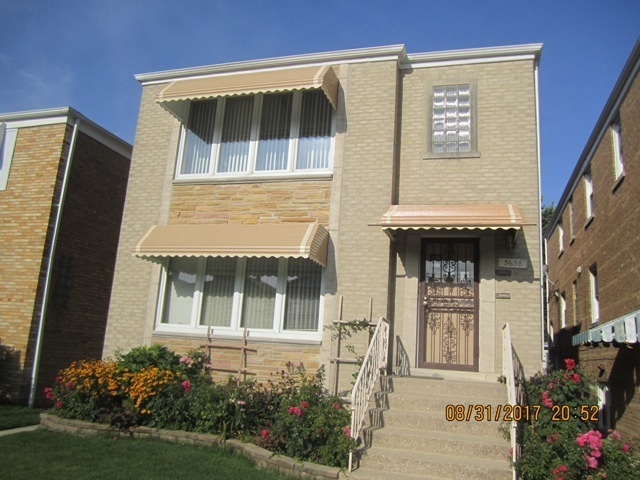 Very convenient location, close to I 90, shopping, and O'Hare airport. Come see it!